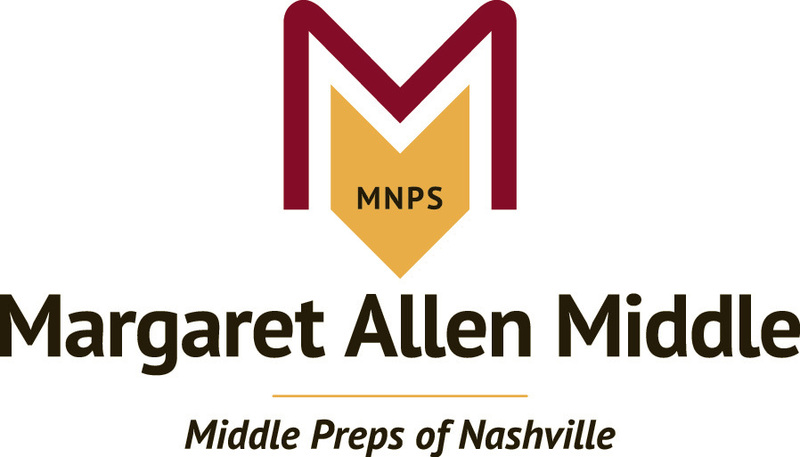 The staff at Hull Jackson Montessori participated in the MNPS Poverty Simulation on August 4, 2017. 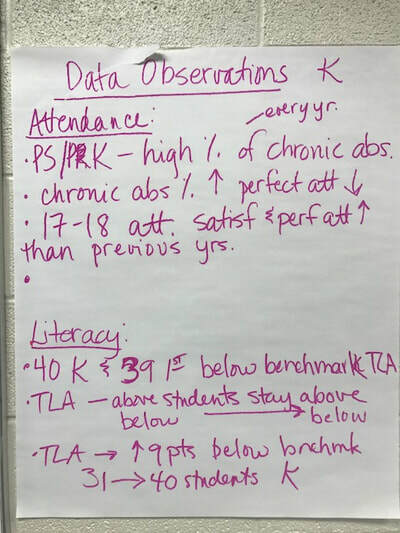 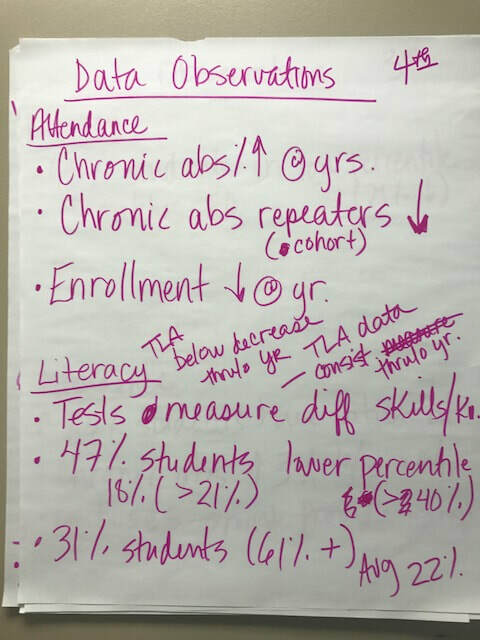 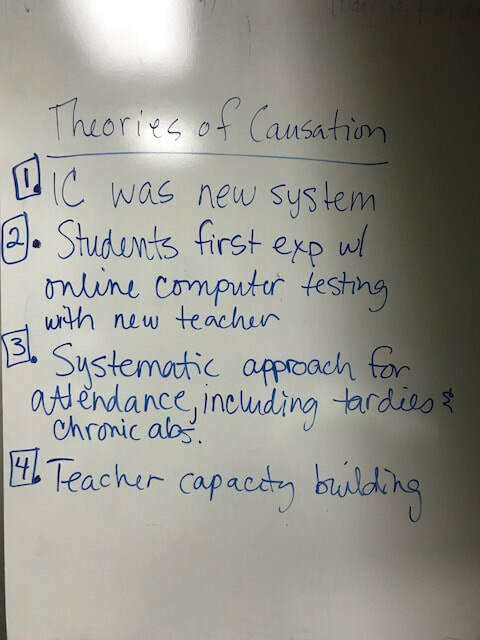 As additional support for the simulation, schools agree to participate in follow-up meeting where the collaborative inquiry process is used to analyze multiple sources of data and develop theories of causation around supporting student success. 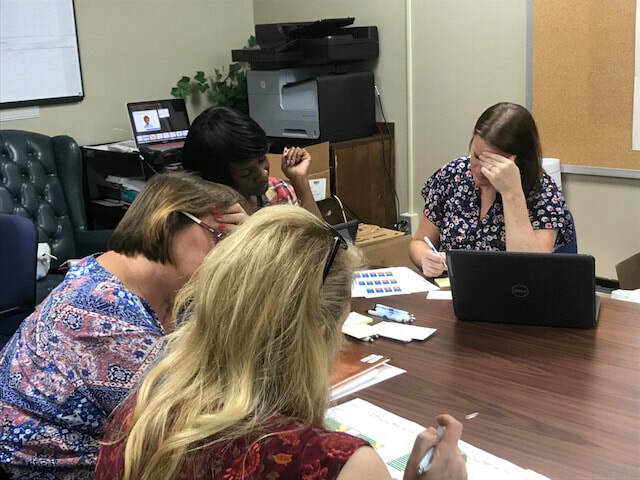 On September 25, 2017, the faculty participated in that follow-up meeting where Dr. Margie Johnson facilitated the collaborative inquiry process during grade level team planning. 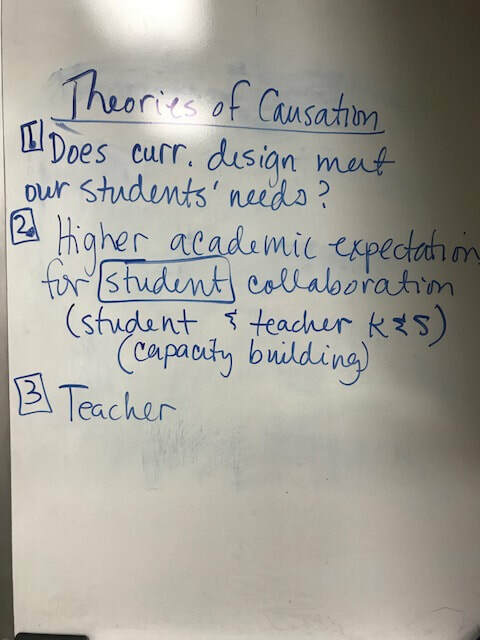 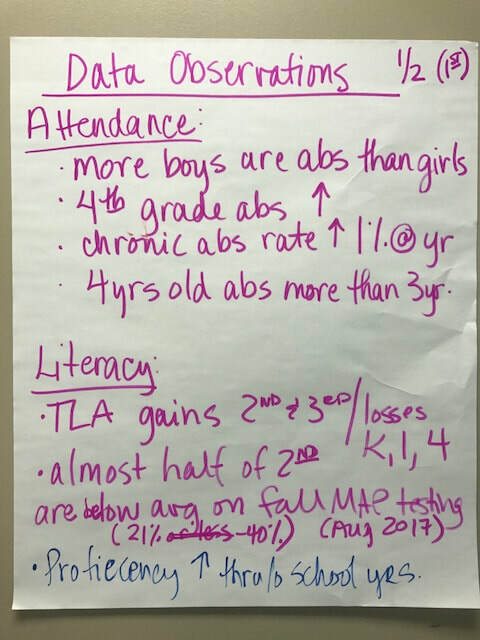 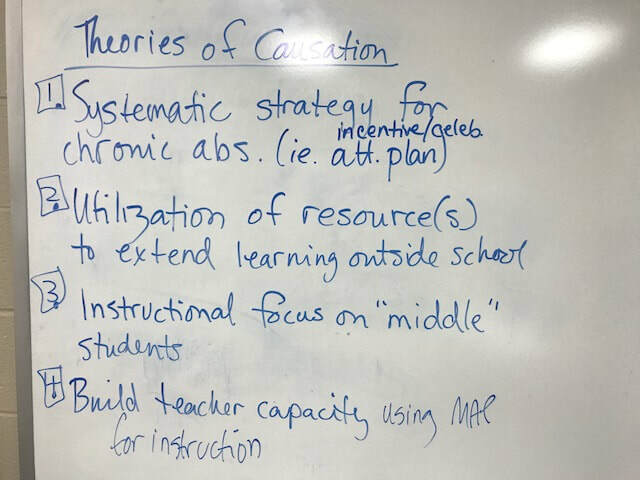 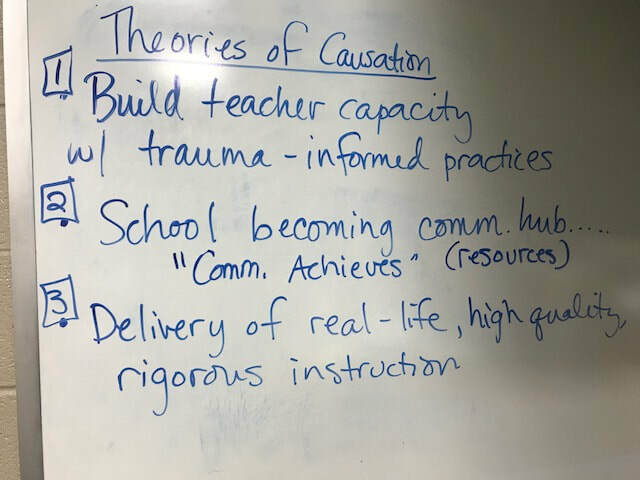 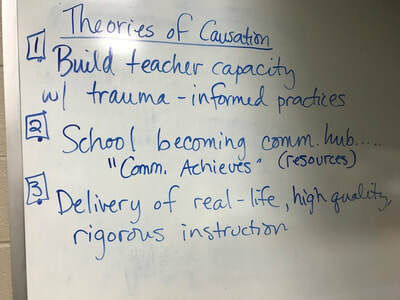 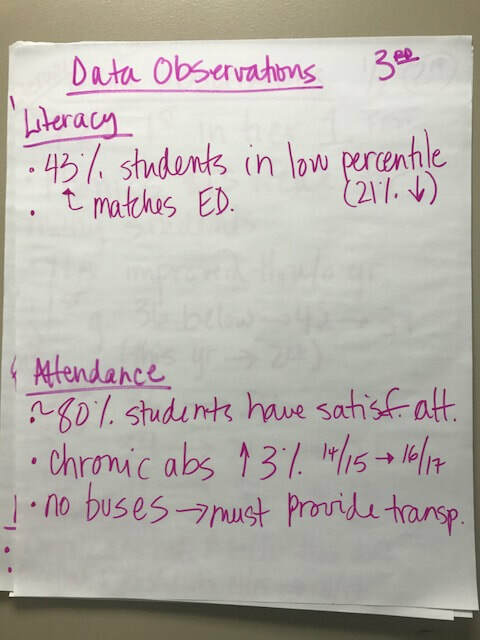 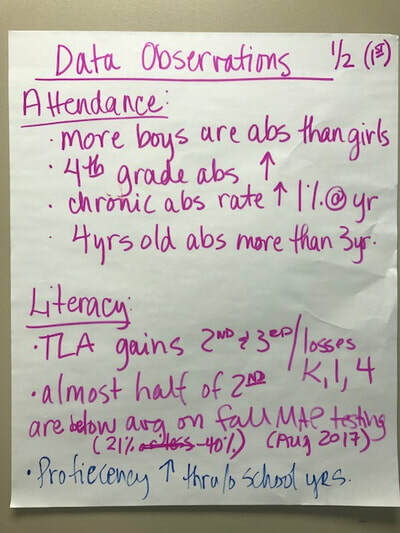 Grade level teams brainstormed theories of causation for supporting student success and reached a consensus around one to investigate further. 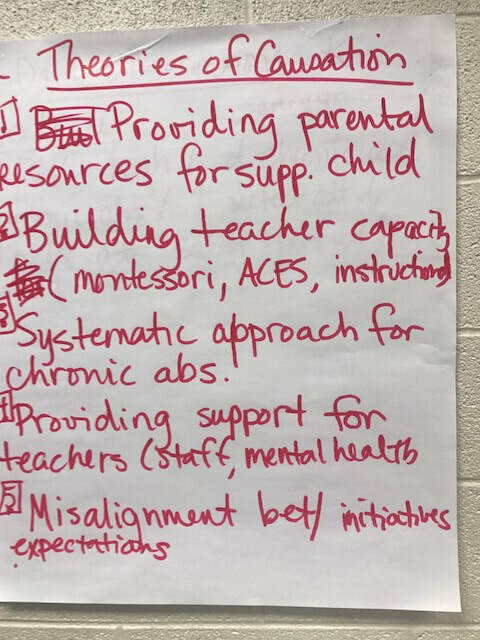 thank you for listening to our concerns today. 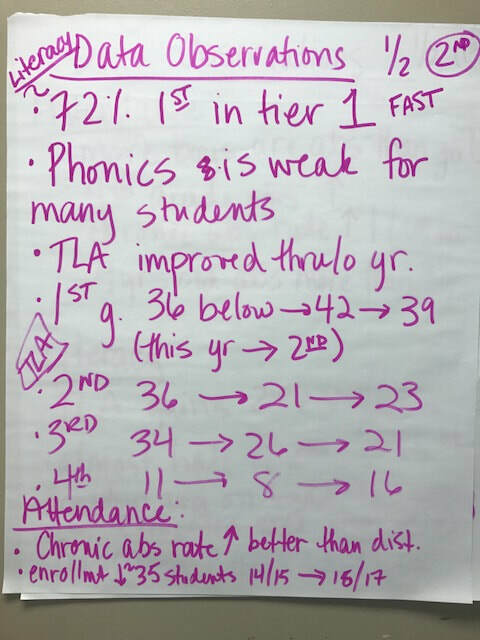 We want our classes to succeed and thrive.